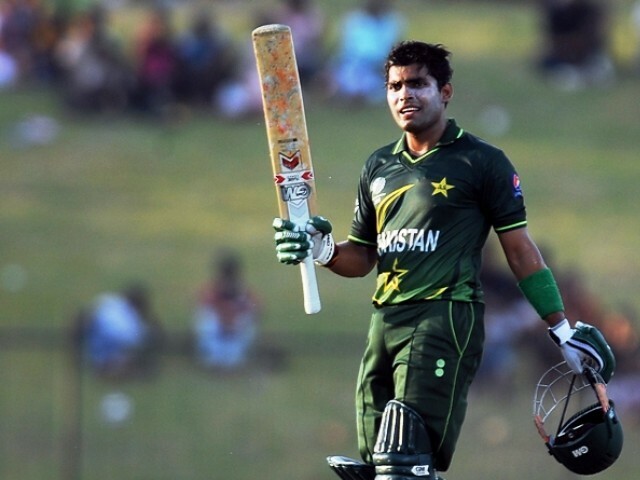 Umar Akmal: Congratulations, the kid is back! Pakistan’s inability to rotate the strike has worried millions. It remained a cause for concern in the team’s opening match against Kenya and discounting the total that sensible batting, and Umar Akmal’s heroics, enabled Pakistan to set, the safety net just isn’t permanent. The over-cautious strategy – to preserve and unleash towards the end – remains unconvincing but is implemented time and again, with varying results. Often, when the middle-order fails to click, the hitters arrive in the middle, needing to bat out more overs than they had been trained to – or had hoped to – resulting in the embarrassment of being bowled out without having utilised their quota and with a Powerplay left. Younus Khan, Mohammad Yousuf and Misbahul Haq have, on various occasions, been guilty of adapting that strategy that has Intikhab Alam written all over it. They play with the firm belief of being in the middle when the bails are taken off for the interval. And while that belief is commendable, appreciable and praise-worthy, a single delivery, or a silly mistake, can set it all astray. But while it all clicked when it was desperately needed, the younger Akmal on the day outshone his elder brother by not only scoring more, at a quicker rate, but also carrying on the momentum that the seniors had provided and ensuring the final Powerplay mattered for the batting side that needed a winning start to the tournament. It’s hard to believe that Umar is still just 21 and relatively inexperienced but with so much responsibility and hopes resting on him. His performance on the field – and antics off it – have been admired, questioned, scrutinised and lauded effortlessly by all those watching and following. And it comes as no surprise that he was a talent identified ever since his first-class debut. With Umar hopping in at 155 for four, after Younus had scored at a strike-rate of over 70, Pakistan needed more aggression for anything under 300 – despite the poor start, slow pitch and World Cup blues – against Kenya would have been a disaster regardless of the result. Umar was particularly severe on Elijah Otieno, belting him for 24 off just ten deliveries, but, away from his personal genius, Pakistan’s scoring rate increased. It crossed the five-runs-per-over mark for the first time in the innings after his arrival and it stayed above that for the remainder of Pakistan’s innings. A new ball, an effectively-utilised batting Powerplay and a forceful Misbah were the other reasons behind it but Umar was the main. With question marks hanging over his inclusion in the playing-eleven prior to the World Cup courtesy an indifferent display and failure to maintain a patch so purple it put a ripe jambolana to shame. Approaching the 1,000-run mark in One-Day Internationals, a feat he threatened to achieve sometime last year, Umar has gathered the floating patience that is seldom found in the youth of today. With aggressive minds and quick hands, results and brutal assaults are chased but with time, and in short bursts spread over various continents, Umar has set his sights on overcoming his natural instincts and not only save Pakistan from embarrassment but lead them to glory.